Fiberight is a privately held company founded in 2007 with current operations in Virginia, Maryland and Iowa. The company focuses on transforming post-recycled municipal solid wastes and other organic feedstocks into next generation renewable biofuels, with cellulosic ethanol and renewable compressed natural gas as core products. Pilot plant facilities began in 2008-2009. 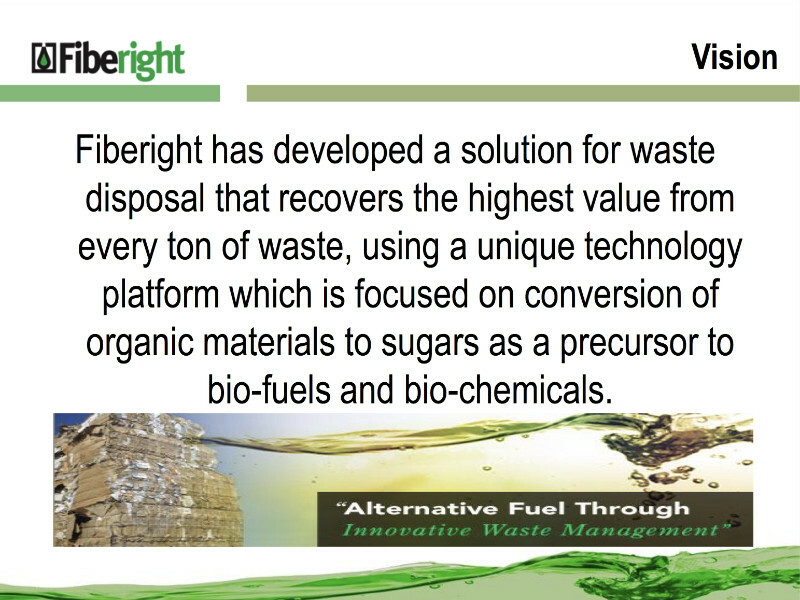 This week we reported that Fiberight has secured $70 million for a municipal solid waste center that should be in operation by this May. The high-tech facility will convert 180,000 tons of trash each year from more than 100 Maine towns into biofuel at a 144,000-square-foot steel frame facility that began construction last July. These two presentations (offered here in combination) have some vintage to them but offer the most illuminating visuals we’ve seen on the technology, the promise and progress.